Today I’m releasing version 1.5.2 of Patagonia. In this version I changed the way “Tags” and “Category” pages are displayed. 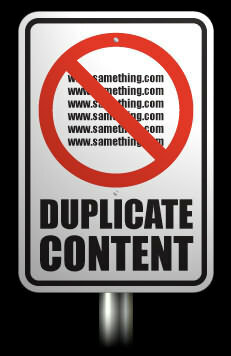 The intention is to avoid duplicated content and improve SEO. One of the mistakes of most themes is that the “category” and “tags” pages display the same content as the index page. This happens because most themes are not optimized for SEO (even many premium themes). So when you write a new article, it will show the same content in different pages at the same time. Search engines spider every page of your blog and when duplicated content is found over and over, you risk being penalized. In this new version I introduced new “category” and “tags” pages to avoid duplicated content in those pages. If you are updating from a previous version and you did some custom changes to the theme design, remember to backup those changes and apply them in the new version. As always don’t hesitate to contact me if you have any questions. I give support to everyone using my theme. Design, Optimization, Seo, Theme, Updates. Bookmark. I am still playing with this theme to see if it will do what I want. I love your the Patagonia theme. I just converted my family website into a blog and I was learning about WordPress but I was not happy with the them and stumbled onto yours. Admittedly, I wanted to personalize it so I changed the header picture to one of my own. I plan to update the pictures in the future. Yet, I was wondering if there was a plugin or bit of script that could help to alternate the header picture to another one each time the page refreshes? Hello Hans! There are some ways to change the header image when you refresh your page. I will send you an email with the code to add to your template!